Though my little one isn’t school aged yet, she is eating us out of house and home already (or so it feels at times). 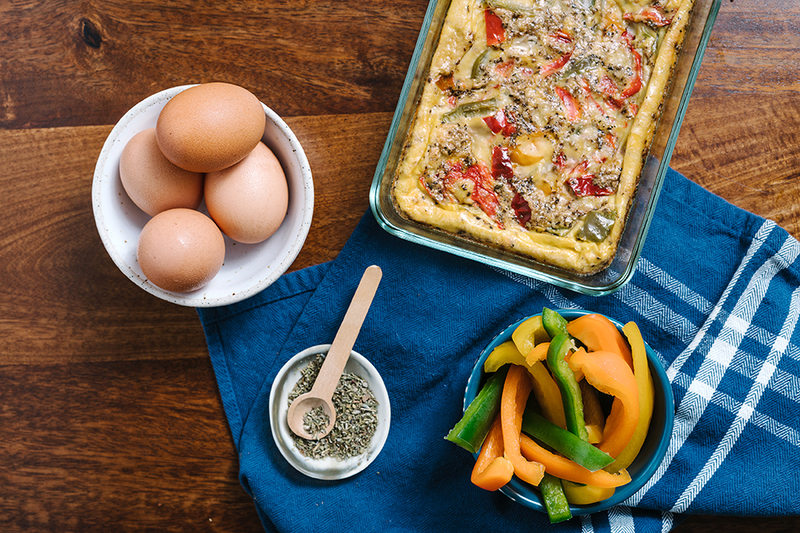 Meal planning and prepping now includes a sweet little mouth to feed and offers the challenge of creating healthy, filling, and enticing choices. So this month, as your kids head back to school or you settle into a new routine, I’m sharing some of my favorite mini mouth lunch meal ideas. 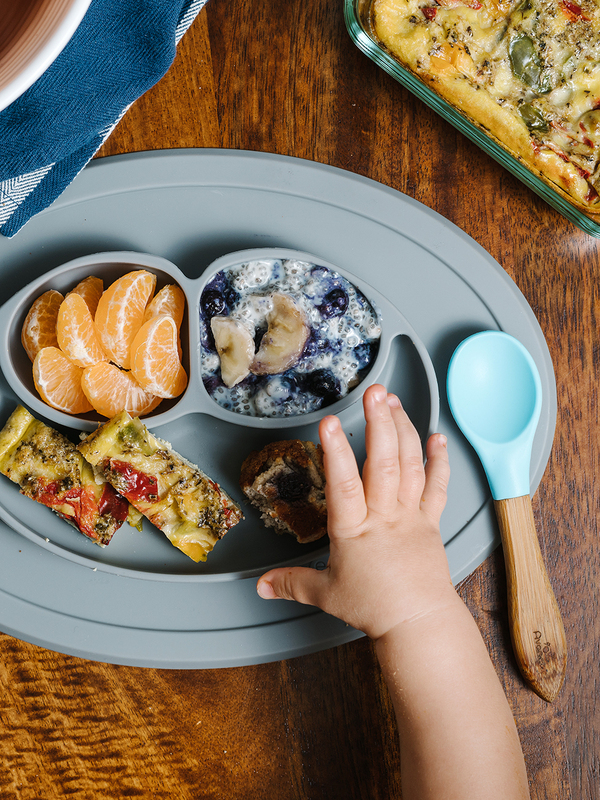 Trying to think outside the (lunch) box can be difficult when it comes to kiddos, but I feel like you can’t go wrong with breakfast for lunch. Even the pickiest little one can get on board with this idea. Plus this basic outline is easily adjustable to preferences and the time you have on your hands. What I love about this lunch is you can easily prep most of it at beginning of the week. 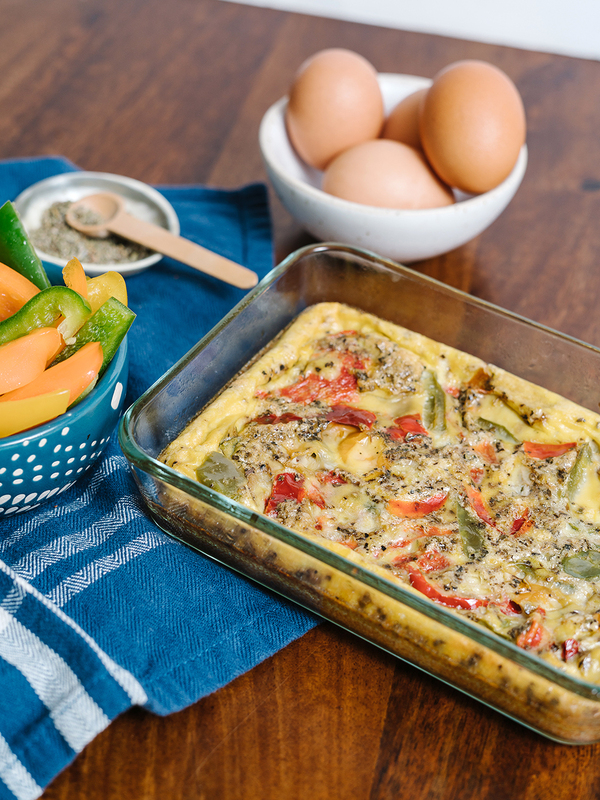 For the mini quiche, I keep it really simple: eggs, one veggie, herbs, and a splash of dairy free milk. I use a 3-cup oven safe glass storage container (like this one or these), that way once it’s cooled I just snap on the lid and stick it in the fridge. I like the 3-cup because it is the perfect size for cutting handheld size strips. You can also use the one-cup sizes for easy travelling to daycare or school, plus your kid will think it’s totally awesome they have their own personal quiche. Place steamed vegetable into a well oiled 3-cup glass container (or glass container of choice). Whisk eggs, seasonings, and milk in a small bowl. Store in refrigerated in airtight container for up to 6 days. 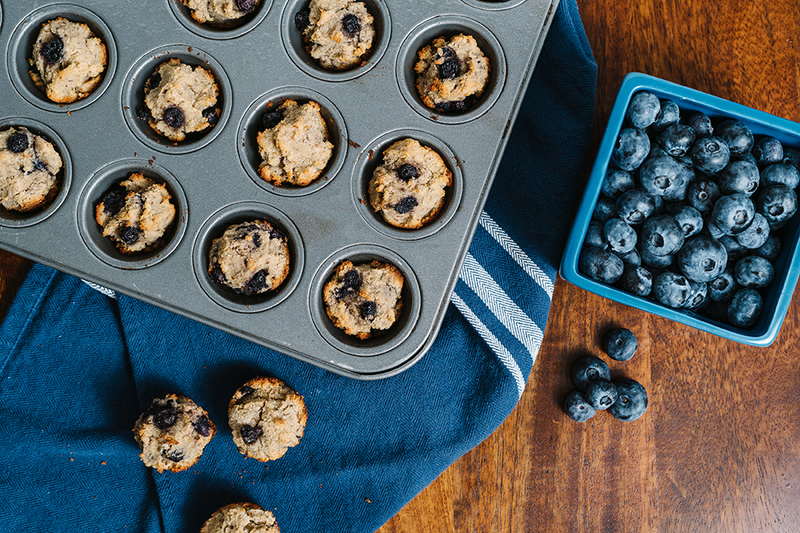 Next we’ve got grain free mini blueberry banana muffin. Yes of course it’s easier to walk down the bread aisle and grab those premade mini muffins, but seriously I would not look at the ingredients list if I were you. Most of those shelf life baked goods are filled with preservatives and tons of processed sugars which will send your little one on a sugar high only to crash and burn later–aka bring on the tantrums. 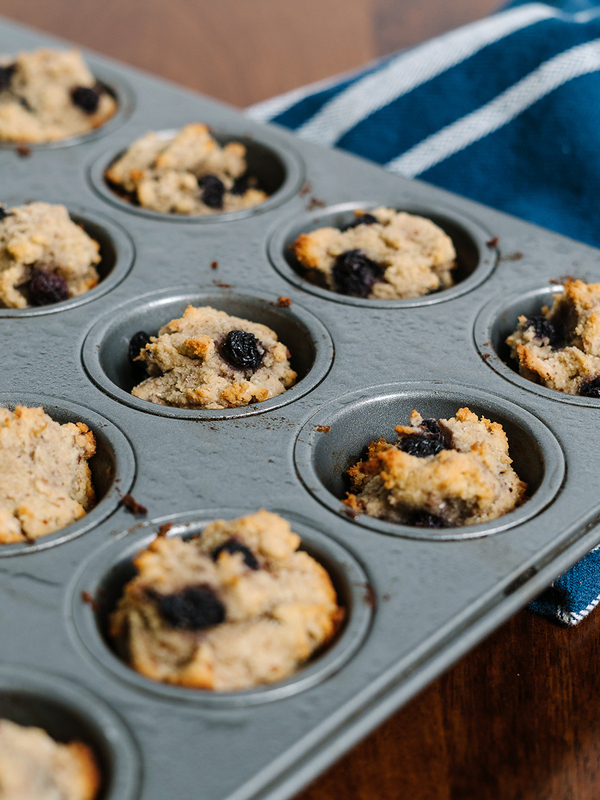 Instead, you can make these super easy mini muffins at the beginning of the week, grain free, refined sugar free and oh so delish. These babies offer protein, fiber, and minerals with only 9 ingredients. Preheat oven to 350 and spray muffin pan. Place wet ingredients in a heavy duty mixer and combine on med-low. Add dry ingredients and mix well on med low. Sprinkle some flour over your blueberries until pretty well covered. Gently fold into your batter, it should be pretty thick/sticky. Spoon out into muffin pan about ¾ full. Allow to cool. Gentle run a knife around the muffins and then use a small spatula or spoon to remove the muffins. Store in an airtight container or ziplock in the fridge for up to 1 week. Or you can freeze them for up to 3 months, thaw at room temperature before eating. *Frozen will work too, just be sure they are thawed and well dried. 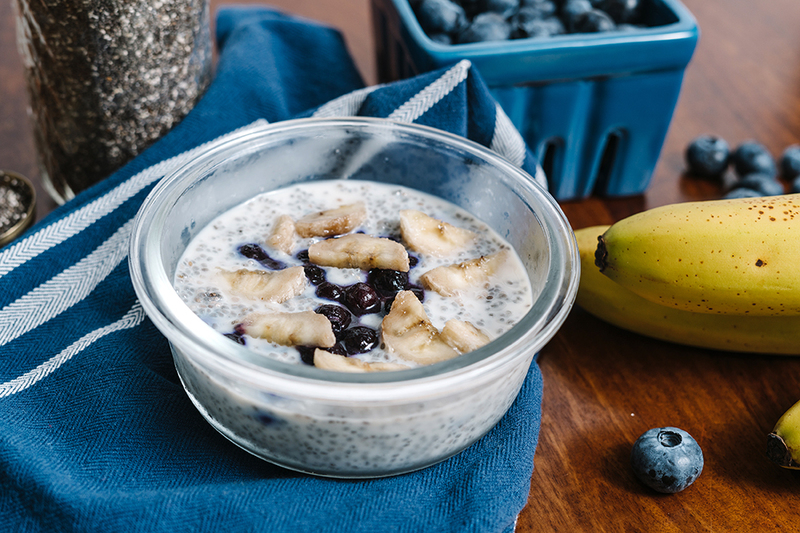 Chia pudding is a favorite around our house. This is so easy to make, plus these tiny seeds are packed with nutrients, fiber, antioxidants, and omega fatty acids. Your kiddos may think this is a cooler version of yogurt and love the texture. This recipe is easily adjustable to what your little one prefers. Mix all of the ingredients and let set up over night. Store in a glass airtight container in the refrigerator for up to 5 days. *I used frozen berries. Fruit can be substituted to preferences. Finish this special lunch with a couple of easy peel oranges and you’re all set. Don’t be afraid to get creative with this one. Try using it one week per month, and just switch up the type of quiche you make, maybe make apple muffins instead of blueberry, or peach chia pudding. Just those small tweaks can bring a lot of variety for your kiddo but make your lunch planning much easier. Have bigger mouths to feed? 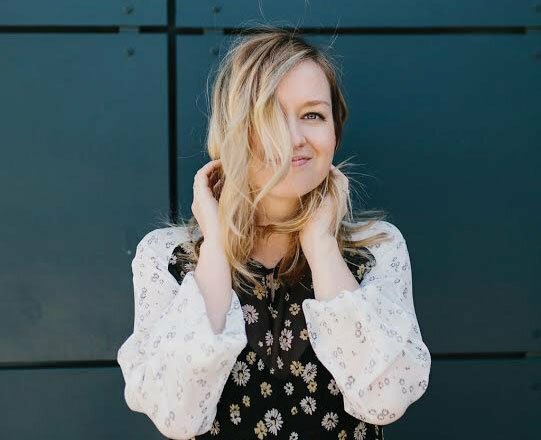 Check out Lauren’s Capsule Pantry Series! Want more kid-friendly eats? See here! These are really good ideas!! I love Chia pudding!!! Love these ideas! 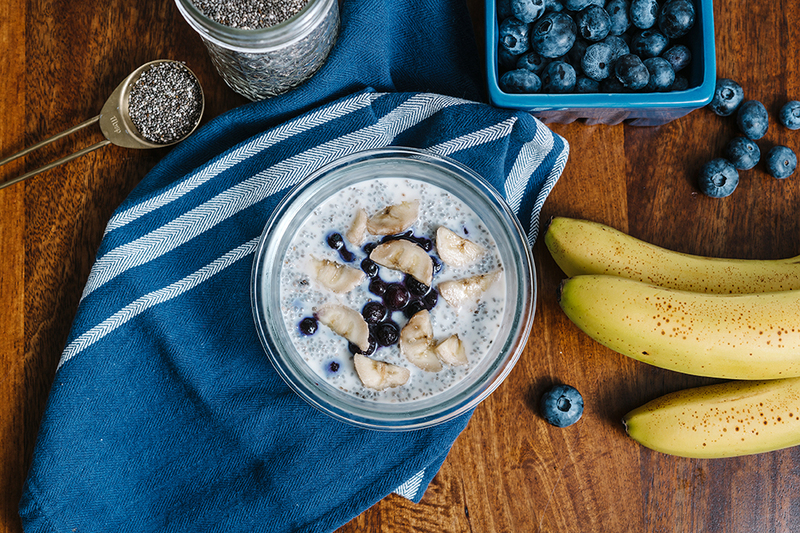 my son is allergic to eggs, but I think we’ll try the muffs this weekend with flax eggs, and we could totally try the chia pudding with nut milk. As someone who has a kid with severe food allergies, we serve our son vans waffles – dairy free, egg free waffles – every morning for breakfast. almost everything else has to be homemade, which i genuinely enjoy doing, it just takes a ton of time and i’m grateful for an easy option. these breakfast bites look just as easy! !